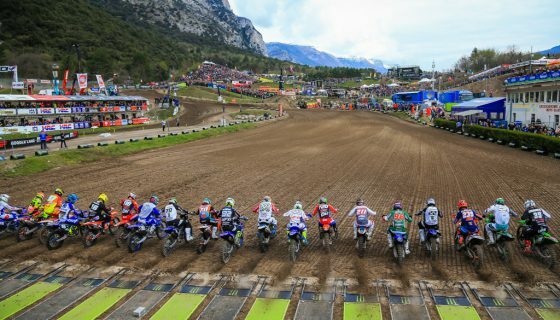 Van de Moosdijk Scores First EMX250 Win in Ottobiano. 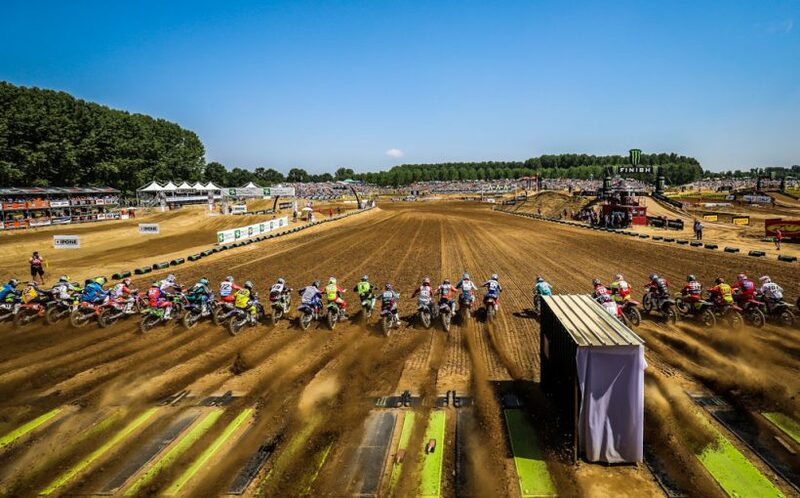 The Fiat Professional MXGP of Lombardia hosted fantastic racing but the Ottobiano round of the EMX250 championship provided perhaps the most intriguing races with its ultra competitive field. Taking the Overall victory via two strong races was ASTES4-TESAR Yamaha’s Roan Van De Moosdijk. Spread across two days of racing the class was filled with talent. Saturday’s early timed sessions and Last Chance Race provided us with a 40 man gate for the championship points paying races. 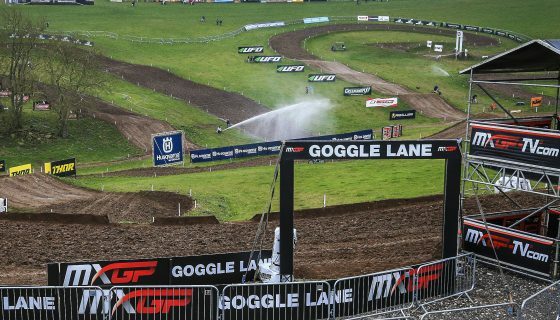 With several Italians in the mix the fans onsite were just as interested and vocal for the pair of EMX races. Saturday’s Race 1 gave us the first taste of who could handle the sand and heat of Ottobiano but today’s Race 2 was ultimately the deciding factor. Race 1 was perfect for Team DIGA-Procross’ Dylan Walsh who took the Holeshot and led every single lap without hesitation. Behind Walsh was Honda Redmoto Assomotor’s Mathys Boisrame with his championship leader red plate. 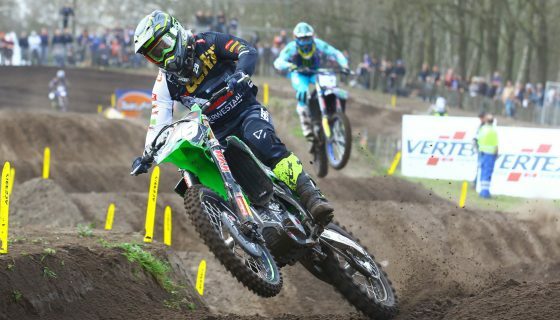 BUD Racing Monster Energy’s Brian Moreau was next and van de Moosdijk held 4th. With only 3 laps complete Moreau crashed while chasing Boisrame which gave third to van de Moosdijk. Later Boisrame charged forward to close the lead down to the back wheel of Walsh but a strong response from Walsh gave him the race win with Boisrame 2nd, and van de Moosdijk 3rd taking third. 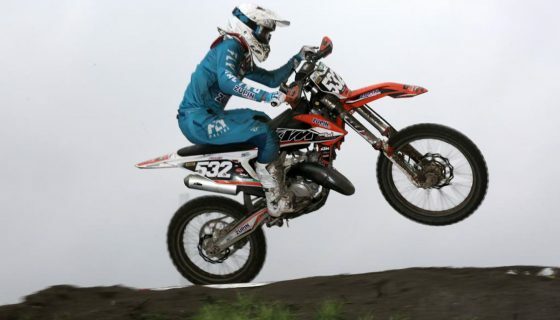 Creymert Racing’s Kevin Horgmo took 4th after passing his way up from 7th and Yamaha SM Action – M.C. Migliori’s Maxime Renaux was 5th. Today’s Race 2 was led off the start by Carglass Honda’s Steven Clarke with KTM Silver Action’s Gianluca Facchetti in 3rd. Team Suzuki Germany’s Jett Lawrence started the race in 4th and quickly turned it into a break through ride. Lawrence took 2nd on lap 2 after Facchetti crashed himself out of the race. 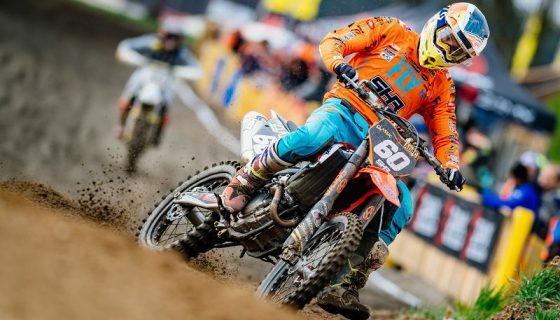 Also moving forward a position was Moreau into 3rd and Rockstar Energy Husqvarna Factory Racing’s Mikkel Haarup in 4th. 2 laps later Lawrence passed Clarke and left the Brit behind over the next 13 laps. Moreau was passed for third by Haarup 3 laps after Lawrence took the lead, but later crashed out the race also allowing Moreau to reassume 3rd. Van de Moosdijk was on a massive charge through the field from 15th on lap 1 to pass Moreau 4 laps prior to the finish. Jett Lawrence took his first ever race win with Clarke 2nd, Van de Moosdijk 3rd, Moreau 4th, and previous championship leader, REVO Huqvarna UK’s Mel Pocock in 5th. In the Overall classification it was Roan van de Moosdijk’s consistent 3-3 that took the win over Walsh and Lawrence. Boisrame took 4th and grew his points lead over Pocock by another 6 points. 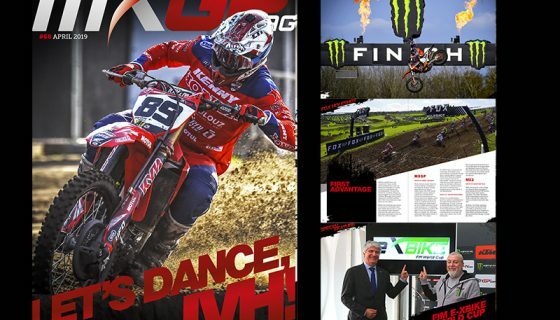 EMX250 Overall Top 10: 1. Roan Van De Moosdijk (NED, YAM), 40 points; 2. Dylan Walsh (NZL, HUS), 39 p.; 3. Jett Lawrence (AUS, SUZ), 36 p.; 4. Mathys Boisrame (FRA, HON), 34 p.; 5. Brian Strubhart Moreau (FRA, KAW), 31 p.; 6. Karlis Sabulis (LAT, YAM), 29 p.; 7. Maxime Renaux (FRA, YAM), 29 p.; 8. Steven Clarke (GBR, HON), 28 p.; 9. Mel Pocock (GBR, HUS), 28 p.; 10. Kevin Horgmo (NOR, KTM), 25 p.
EMX250 Championship Top 10: 1. Mathys Boisrame (FRA, HON), 228 points; 2. Mel Pocock (GBR, HUS), 209 p.; 3. Martin Barr (GBR, HUS), 196 p.; 4. Steven Clarke (GBR, HON), 183 p.; 5. Dylan Walsh (NZL, HUS), 180 p.; 6. Brian Strubhart Moreau (FRA, KAW), 158 p.; 7. Roan Van De Moosdijk (NED, YAM), 155 p.; 8. Mikkel Haarup (DEN, HUS), 142 p.; 9. Tom Vialle (FRA, HUS), 136 p.; 10. Pierre Goupillon (FRA, KAW), 132 p.
EMX250 Manufacturers: 1. Husqvarna, 300 points; 2. Honda, 299 p.; 3. KTM, 237 p.; 4. Yamaha, 234 p.; 5. Kawasaki, 221 p.; 6. Suzuki, 77 p.